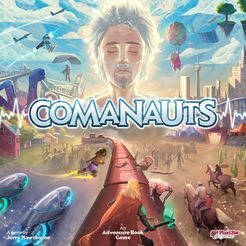 I remember in 2016 going through BoardGameGeek’s Gen Con 2016 preview list looking for hidden gems that might debut there, and one game on the list in particular stood out to me because of its box art. On the box cover there was a dinosaur with horns, a cute lil’ robot, a cowboy with glowing eyes, some reptile(?) thing with a gun, and a bigger scarier robot. No, I’m not talking about Smash Up!, I’m talking about Grimslingers by Stephen Gibson and Greenbrier Games. Grimslingers is effectively two games in one box. The first game mode, Versus mode, is a 2-6 player competitive card dueling game that can be played 1 vs 1, team vs team, or in a multiplayer free-for-all brawl. The second mode, Tall Tale mode, is a 1-4 player co-operative narrative campaign-based adventure game. This review is about the Tall Tale mode specifically (3rd Edition, even more specifically), but the game’s origins is in its Versus mode, so let’s talk about that a bit first. 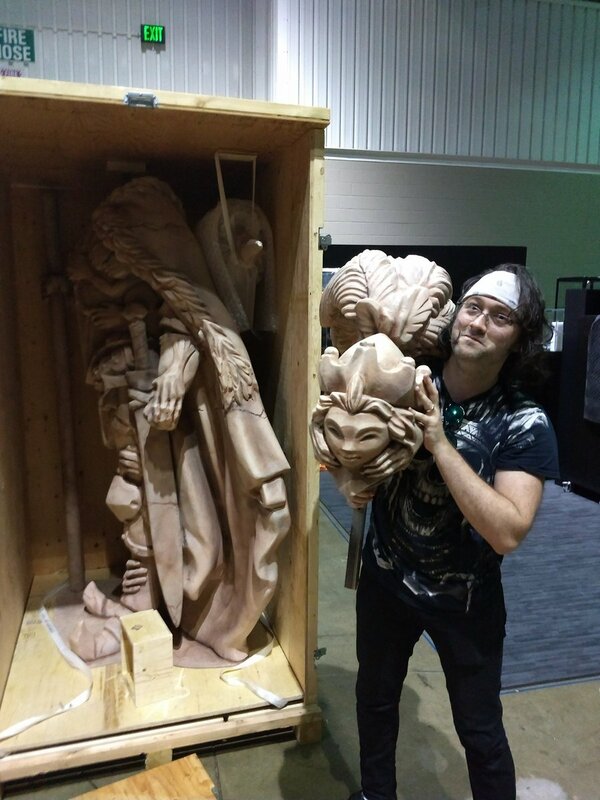 Designer and artist Stephen Gibson eventually moved High Moon to the tabletop space after having issues keeping programmers staffed on the mobile game. His eventual goal was to use the profits from the tabletop card game to further fund the mobile game’s development. When the Grimslingers Kickstarter launched in 2015, the competitive Versus mode was initially the only mode offered. I won’t go into too much detail about how this mode plays, you can download the rulebook here, but to briefly summarize, each player simultaneously picks and reveals a card from their hand and then resolves the cards in a rock-paper-scissors fashion. Rounds continue until all but one player/team is left standing. A sampling of the game’s gorgeous card artwork. The cooperative Tall Tale mode was added later in the Kickstarter campaign as an optional add-on stretch goal. Whereas Versus mode was already designed and developed before the game even went to Kickstarter, Tall Tale mode was just an idea Stephen had at the time of its announcement. When Greenbrier Games eventually picked up the publishing rights for Grimslingers a couple of months after the Kickstarter wrapped, they gave Stephen the time to flesh out the Tall Tales mode more, and ultimately chose to package it in the core game. 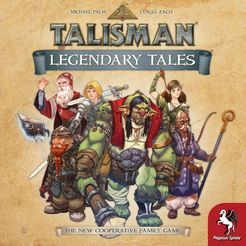 Of the 7 written reviews on BGG (not counting this one), 5 of them are exclusively focused on the Tall Tale mode, and one only briefly mentions Versus mode in passing. Some of the video reviews cover both Versus and Tall Tale mode, but the general consensus from people seems to be that Tall Tale is the better and preferred mode of the two. Grimslingers may have started as a competitive dueling mobile game, but it found its voice and its audience as a coop/solo tabletop adventure game. Grimslingers’ Tall Tale mode can loosely be described as a “weird west” campaign-based cooperative adventure card game. 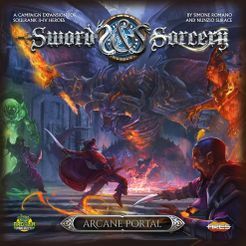 Players take on the role of Grimslingers, magic-wielding cowboys conscripted by Icarus the Iron Witch. 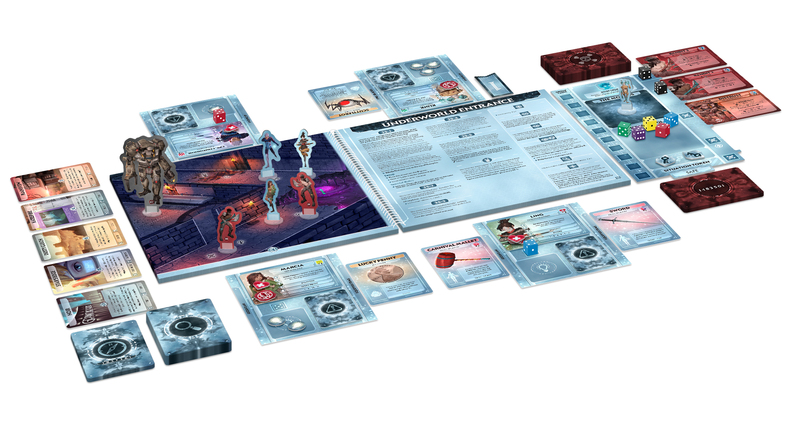 The campaign takes players (along with their snarky robotic anima sidekicks) through a 4-chapter story in The Valley of Death on a mission of hunting down and killing Icarus’s boss, The Witch King (correction from the designer: The Witch King is not his boss, he’s just a self-proclaimed “king” that thinks he’s the boss). The world that Stephen has built around this game, The Forgotten West, is an interesting mix of western, magic, sci-fi, and fantasy tropes. It’s a world where cowboys, bandits, robots, goblins, minotaurs, talking llamas, chupacabras, witches, and vampires co-exist, and it works. Weird West is a genre that you surprisingly don’t see a lot of in boardgaming, so despite being a strange mish-mash of all sorts of genres, it feels fresh and unique. 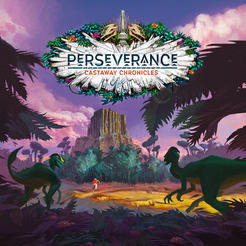 Each chapter consists of a series of narrative entries with corresponding objectives that players must complete in order to advance the story and finish the chapter. Objectives may have you traveling to locations on the map, collecting items, fighting monsters, etc. The Valley of Death is represented in the game as a small node-based map that players move together as a group around with a single red meeple. Attack nodes on the map require players to duel an AI opponent similar to how duels work in Versus mode, and reward players with character level-ups and items. Event nodes have players resolving random events from a deck of event cards. Landmark nodes give players location specific actions players can take, such as trading with shopkeepers or gambling at the saloon. 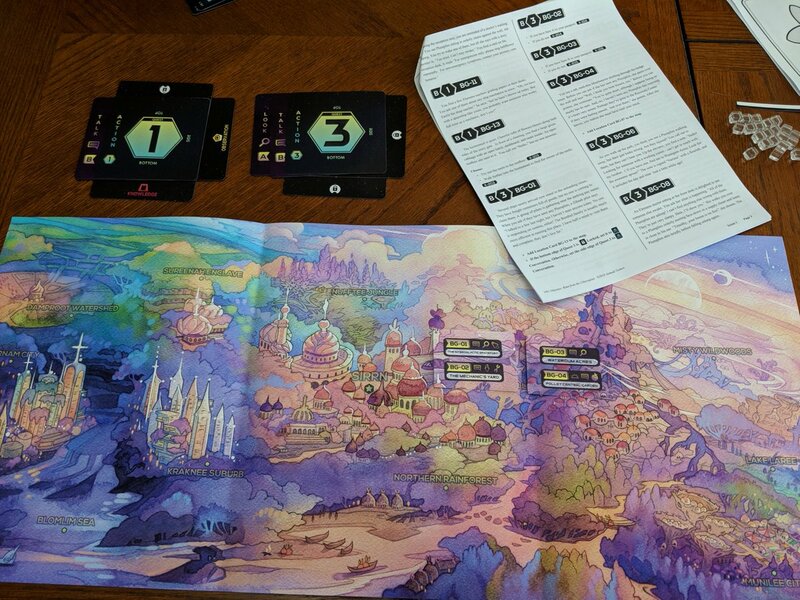 Despite being a small piece of cardstock you are pushing a little meeple around, it feels like an open world adventure game that you are free to explore at your leisure. 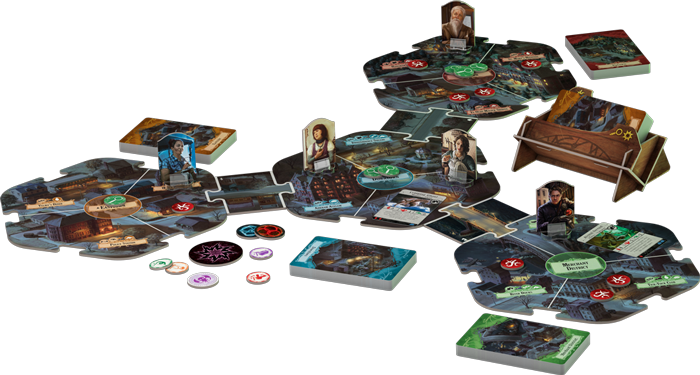 Between objectives, players are free to mosey about the valley, there is no in-game mechanism or timer forcing players to progress in the story, which is not something you typically see in a cooperative board game. I found that individual chapters took me around an hour to play solo. Example setup of a solo Tall Tale game. The brisk playtime I had could be due to the fact that I avoiding traveling to attack nodes where at all possible, as I wasn’t a huge fan of the combat system. Duels lengthened game sessions, they were more dangerous, and weren’t very satisfying to play through. Across my entire 4-chapter campaign, I only dueled 8 times, most of which were mandatory fights to progress the story. The combat in Tall Tale mode is similar to Versus mode in that you pick a card every round to play, but the AI plays instead with a custom deck of generic and creature-specific AI cards (6 normal creatures and 1 boss creature come in the game). Creature AI cards don’t deal with the elemental rock-paper-scissors mechanics that PvP duels do, so for the most part it felt like I was just playing basic spell cards to do a couple points of damage per turn without any real insight into what the AI was going to do. As you progress through the game and level up, you gain access to advanced spells and items that open up your options a bit, but not by much. I should also point out that the game is already on its 3rd Edition of its rulebook. 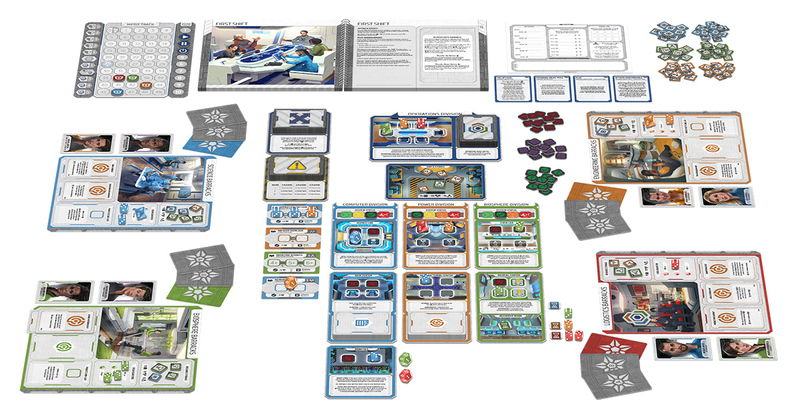 Stephen and Greenbrier have continued to tweak and simplify the rules (as well as fix typos) in the rulebook between print runs over the past 2 years based on player feedback, going as far as stripping out entire sub-systems of the game that players found clunky. Even in it’s 3rd printing, the rules are a little difficult to parse. Each different node type on the map is resolved differently and has rules for what you can/can’t do at it. Duels require learning a whole separate set of rules for combat, and have you flipping back to the Versus rules section for some things. Player aids for this game would have been a huge help (it is my understanding that these are provided in first big-box expansion, The Northern Territory). Besides doing the art and design of the game, Stephen also wrote the story that goes along with the campaign. The story is well-written, even humorous at times (sadly something I can’t say about a lot of narrative games on the market). The characters you meet and places you visit are memorable and evocative of a much bigger and fantastic world that they inhabit. Rather than spell everything out for you, Stephen’s writing and artwork sets the stage for your imagination to fill in (or question about) this strange world. The story is linear, which Stephen has said was an intentional choice on his part to tell the story he wanted to tell. There is only one moment in the entire campaign where players are given a story choice, and it’s a very minor choice at that. Examples of some archetypes you can play as. Character progression in the campaign is pretty linear as well. At the start of a campaign you will choose one of several archetypes for your character: vampyre, daemon, witchborn, etc. This will give you a character-specific combat ability as well as your max health/energy values. As you defeat creatures and complete story objectives, your character will level up, but rewards you get for leveling up are baked into the advancement track, you don’t get a lot of room for character customization over the campaign. You are able to gain advanced spells as you level up, but a lot of them felt designed for and better suited for Versus mode. While the campaign is replayable, you could potentially explore playing as different archetypes or taking different routes around the map to get to objectives, this feels like something you would play through once to experience the story and not revisit. Despite the small package and relatively short campaign that it comes with, Grimslingers’ Forgotten West is actually one of the most interesting, beautiful, and fully-realized worlds that I’ve experienced in a boardgame space. Fans of weird west fiction and/or gamers looking for a campaign with a unique settings should check this game out. 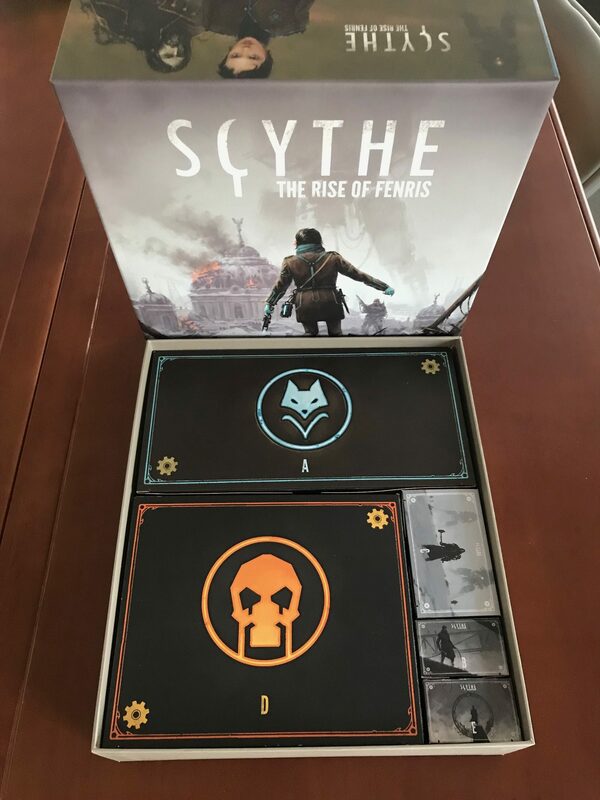 You can get this game for less than $25 online and a full campaign only lasts 4 hour-long games, so it’s not a huge investment of either your time or money to check out. Who knows, maybe you’ll even get some mileage out of it as a PvP game as well if you find yourself enjoying the combat mechanics. I have bought The Northern Territory expansion and look forward to exploring all that has to offer, be sure to come back and check out my review for that in the future! Top-notch world-building, art, and writing, all by the same person! Turns out that it was the neighbor herself all along who was bullying the kids; she was jealous that she couldn’t be part of Spy Club! Or at least this was the story that unfolded in my head during my campaign, and is one of 18,000+ unique combinations that can play out in a Spy Club campaign. The master case of my Spy Club campaign, I scored 91/100 points. 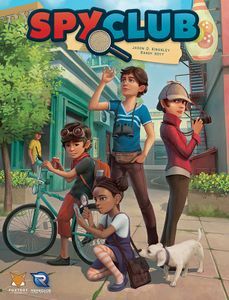 Spy Club is a family-weight co-operative Mosaic (more on that later) campaign game that is an homage to the “kid mysteries” book genre (Nancy Drew, The Hardy Boys, Babysitters’ Club Mysteries, etc). Players take on the role of a group of kids that form a neighborhood spy club to solve local cases. Over the course of a game, you need to solve a case by determining the five major aspects of it: the crime that was committed, the suspect, the motive, the location of the crime, and an object involved in the crime. The artwork of the game by Bartlomiej Kordowski is evocative of a pre-teen mystery book, richly detailed, and very lovely to look at. Spy Club’s artwork nails the source material it is based on. Despite the detective theming, Spy Club is not a deduction or mystery game, but instead a hand-management and set-collection game. Players each have a hand of 3-4 cards that come in six different colors (five colors associated with each of the five aspects of the case, and a sixth grey “distraction” category that typically junks up your hand), and are working together to collect 5 cards of the same color in the middle of the table, solving one of the five aspects of the case. When players have solved all 5 aspects by collecting a set of cards for each of the 5 colors, they win the game. The game follows the tried and true co-op turn structure of “player gets X actions, then the game does some bad stuff”. Players are given 3 actions a turn to manipulate their hand of cards and commit cards to the middle, possibly getting bonus actions if they can synergize with other players. A suspect pawn then moves around the table, performing various bad actions depending on the type of card it lands on. I won’t go over the rules in extensive detail, The Game Boy Geek has an officially sponsored rules tutorial on his YouTube channel, or you can download the rulebook. Games are quick and streamlined. 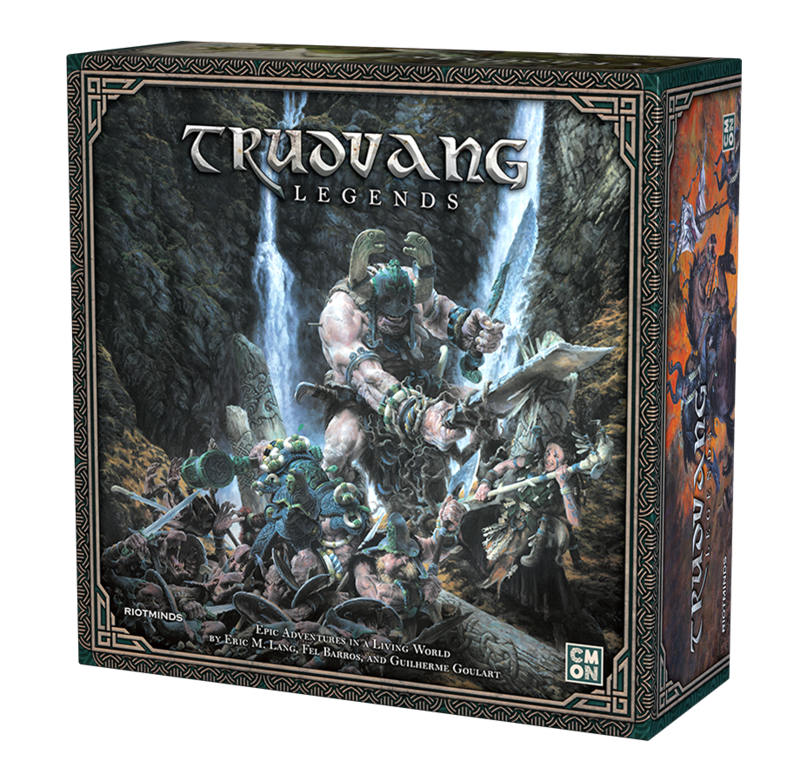 The rules are simple and you can easily play a game in 45 minutes even at a full player count. Spy Club doesn’t offer an official solo variant, but you can control 2 players’ hands solitaire. Playing as 2 characters doubles the amount of cards a single player needs to track, and there is a memory element to this game of remembering what is on the backside of each clue card, but it is manageable. As a standalone game, Spy Club is perfectly functional, and even a bit challenging (I only won 2 out of my 5 plays of the game), but not particularly interesting. You can really only collect one set of cards at a time in the middle of the table, so if you have cards of that color to contribute it’s a no-brainer what to do, and if not there’s not much else you really can do. If Spy Club’s core game had been sold on its own as a standalone game, it would be just be one of the dozens (hundreds?) of forgettable card games that come out every year. But Spy Club isn’t just a simple card game, it’s got a whole lot more going for it that make it go from being an average game to a great game, specifically its exciting and innovative Mosaic format campaign system. “Mosaic format” is a term coined by Foxtrot Games to define a type of campaign that is fully resetable with no permanent modification of components, you only unlock a small portion of the the game’s content over a single campaign, and you can play the campaign multiple times with each being a unique experience. Spy Club is the first in what I’m hoping ends up being a continuing line of Mosaic games by Foxtrot/Renegade. Spy Club’s campaign is 5 games long, with the first game playing largely like the base game (who knows, maybe there’s a little twist in it…). 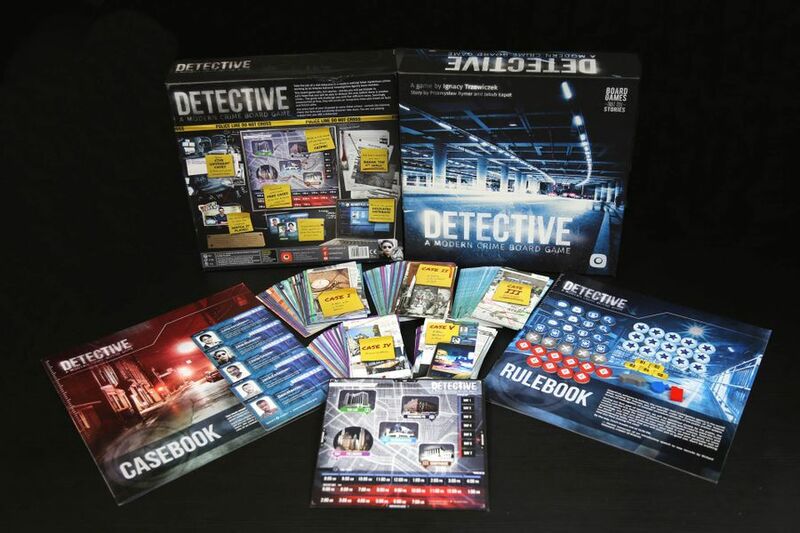 At the end of the game, whether you win or lose, you pick one of the aspects’ clues you were able to solve, and unlock the module associated with that clue. Each of the 39 different clues in the game has its own unique module, consisting of a small subset of cards pulled out of a 174-card campaign deck (similar to Charterstone, for those that have played it). These modules can introduce new rules, win/loss conditions, scoring opportunities, player powers, actions, and mini-games. Since you only unlock 4 of these 39 modules over the course of a campaign, by my calculations there are over 18,000 unique combinations of modules, causing no two campaigns to be the same. Likewise, it would take a group 10 full campaigns (50 games) at a minimum to experience all the content in this game. Fans of opening sealed content in legacy games or revealing haunts in Betrayal at House on the Hill will experience a similar dopamine rush every time a new piece of content is introduced to the game. I’ve only seen 4 modules myself, and I won’t spoil anything about them but they all felt unique from one another and took the game in different directions. Individual mosaic modules that I experienced were typically only used in a single game and then returned to the campaign deck, so keeping track of new rules remained manageable through the entire campaign. New content unlocked in a module was usually contained to a card or two of rules text, and a few cards and related tokens. The full 174-card campaign deck along with assorted tokens that may get used by modules. I want to give major kudos to Foxtrot Games for also having a comprehensive rules FAQ page online for each individual module in the game. I think I only had one minor rule question in my entire campaign about a specific module, but I was impressed by how thorough the FAQ just for that single module was. I know how frustrating rules ambiguities can be in campaign games and not wanting rules mistakes to be compounded from game to game, so I really appreciate the amount of effort Foxtrot put up front to make this game as smooth of an experience as possible. Given the variability of what can unlock, the campaign doesn’t have a fixed storyline. The modules have some flavor text associated to them as to why they’re being introduced to the game, which I found didn’t always necessarily correlate to the clue card that unlocked it. Players are encouraged to discuss among themselves how the various solved aspects come together to tell a story, and players can share their stories on the official Spy Club website. The game is very flexible in allowing players to come and go between games. Players can skip games or leave a campaign without any detriment to the group as a whole, and players who join midway wouldn’t be at a disadvantage or feel like they missed out on key story beats. I think Spy Club is an excellent family-weight intro to campaign gaming. I plan on holding onto my copy for when my daughter is older, and this very well may be the first campaign game we ever play together. 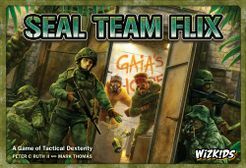 Spy Club manages to scratch a similar itch to opening a sealed packet in a legacy game, without the commitment of a 12+ game campaign or the overhead of a more complex ruleset. Players looking for a deeper campaign experience may want to look elsewhere, but Spy Club will be a good fit for younger gamers, families, and game groups that want to play through a shorter campaign game (this would be a perfect choice to take on a vacation or weekend trip). I think that Foxtrot/Renegade have a hit idea on their hands with the Mosaic format, and I can’t wait to see where they or other designers go next with it. Welcome to The Campaign Log, the only blog dedicated to campaign, legacy, and narrative-focused board gaming! My name is TJ and I’ve been pushing cubes since early 2012. 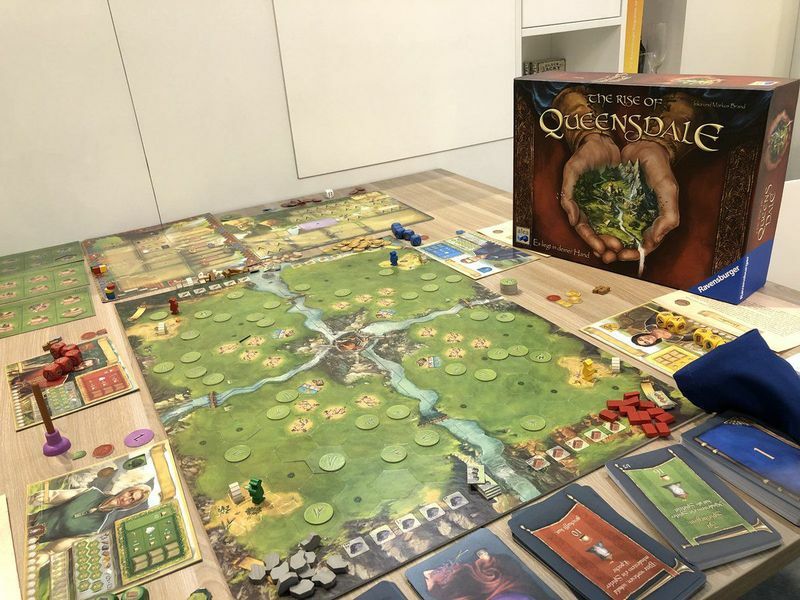 I was introduced to modern board games with gateway titles like Catan, Ticket to Ride, and Dominion, and quickly fell down the rabbit hole. 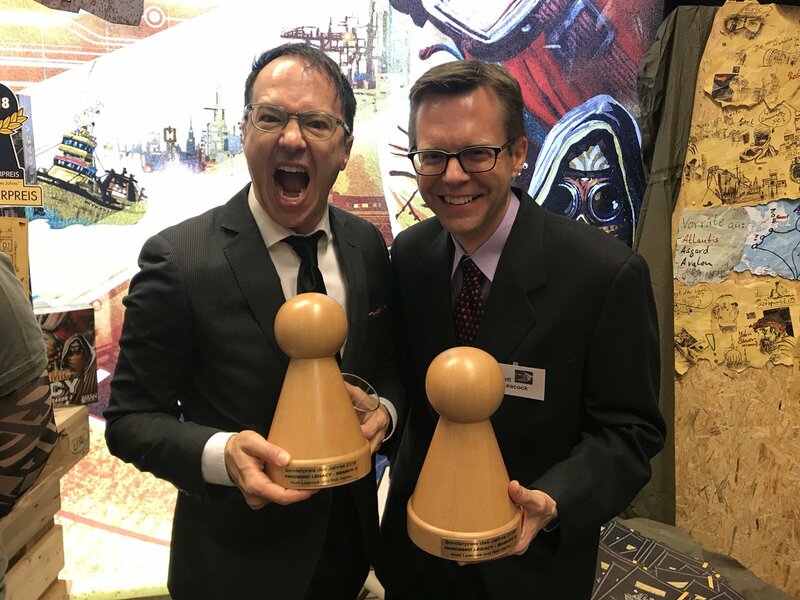 Two titles I discovered pretty early on in my journey were Pandemic and Risk Legacy, and both really shaped how I am as a gamer today, as they introduced me to co-op/solo board gaming and campaign/legacy board gaming respectively. I am primarily a solo gamer, and to me solo campaign gaming is just the analog equivalent of playing an adventure game on my PS4. I do try to rope my friends into playing through competitive campaign games with me, although given the (in)frequency of our game nights, it can take us several months to work our way through a campaign. My wife enjoys co-op games as well, so sometimes I play through campaign games with her. My daughter is still a toddler, but hopefully one day she’ll want to embark on some adventures! This blog is my attempt to promote this growing sub-genre through news, reviews, and other articles. We’ll see what the frequency of my posting is, I suspect if more and more campaign games keep coming out, I’ll have plenty to write about!